LED Stanchion Posts can generate more revenue at your next event! Features (9) solid color settings with multiple active light settings, including an adjustable acoustic control allowing you to change colors and functions instantly in multiple stanchions. LED Stanchion tube can be filled with decorative rocks, fabric, or accessories to give unique appearances. 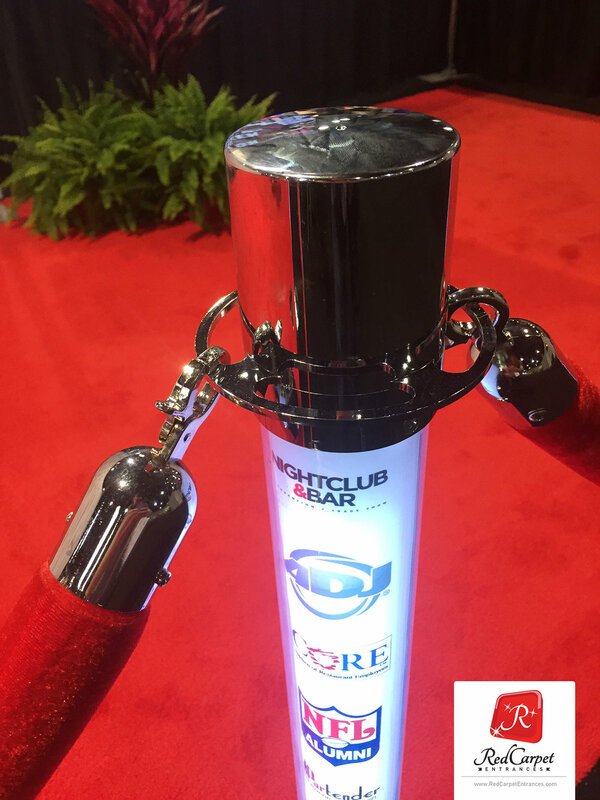 Customize your LED Stanchion for your next special event! Ships from California within (24) hours of your paid order. Delivery takes 1-5 days depending on geographic location. Please contact us for expedited shipping, international shipping, or bulk orders.